Patricia Cahill (right) greets Sister Eileen Shaw, the nun she says sexually abused her, at an event at Paramus Catholic High School in 1970. Editor’s note: This story has been updated to correct the location of the first assault Trish Cahill recalled. 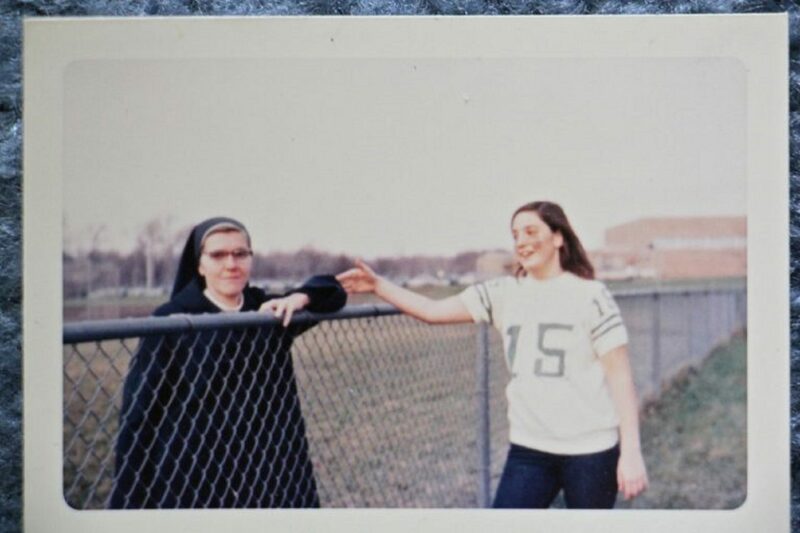 (Undated) — When Trish Cahill was 15, a nun who taught at a nearby Catholic high school invited her to perform at a hootenanny mass. 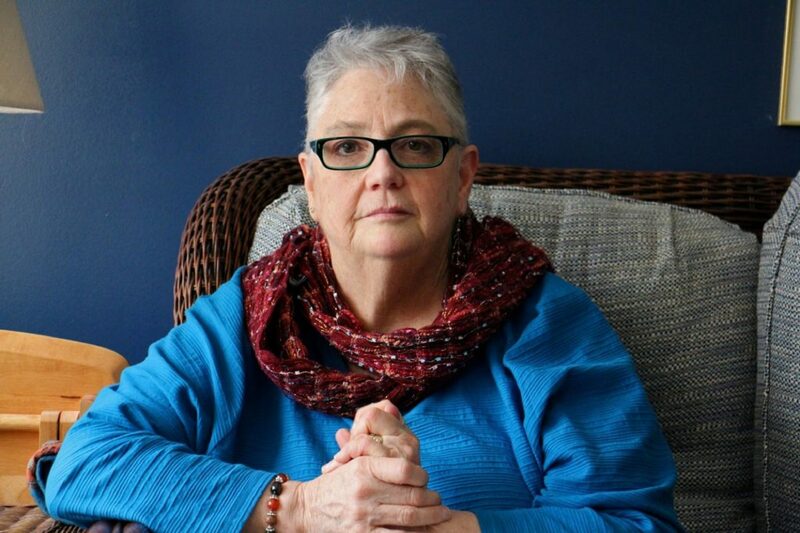 Patricia Cahill, pictured at her home in Lancaster. 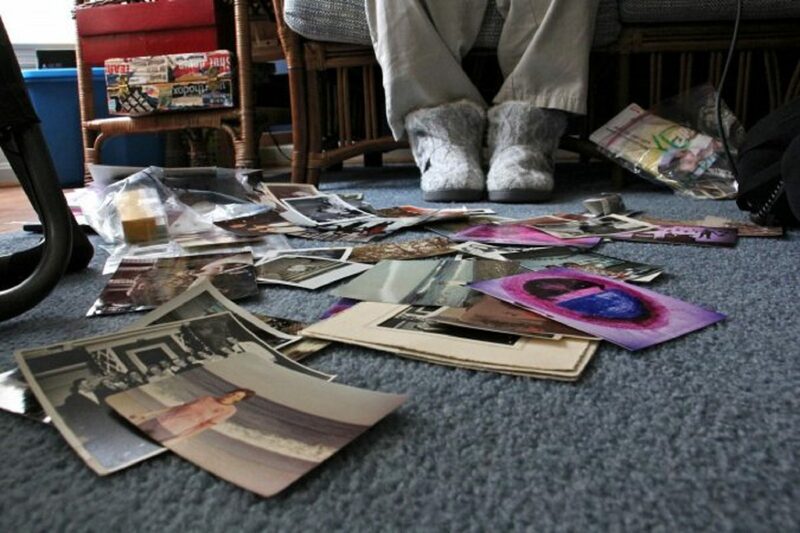 Childhood photos collected at her feet as Patricia Cahill talks about the sexual abuse she says started when she was 15-years-old.